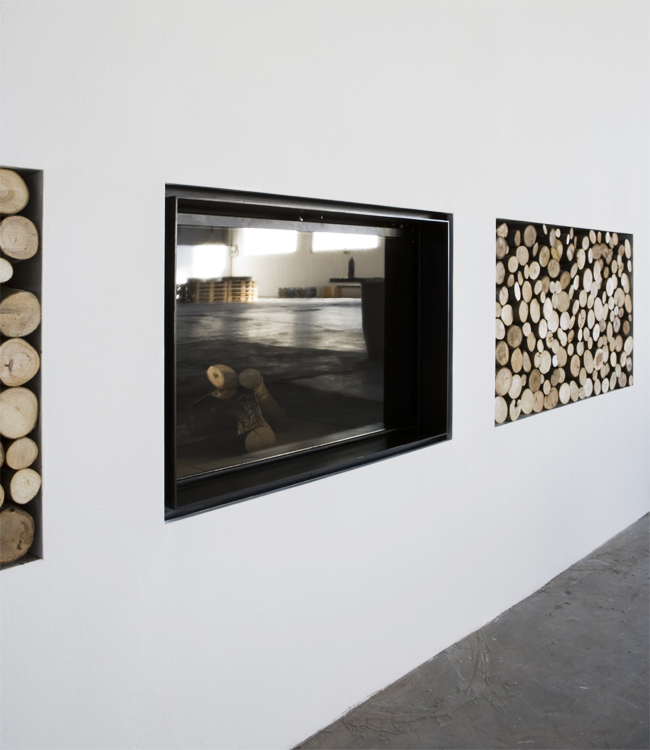 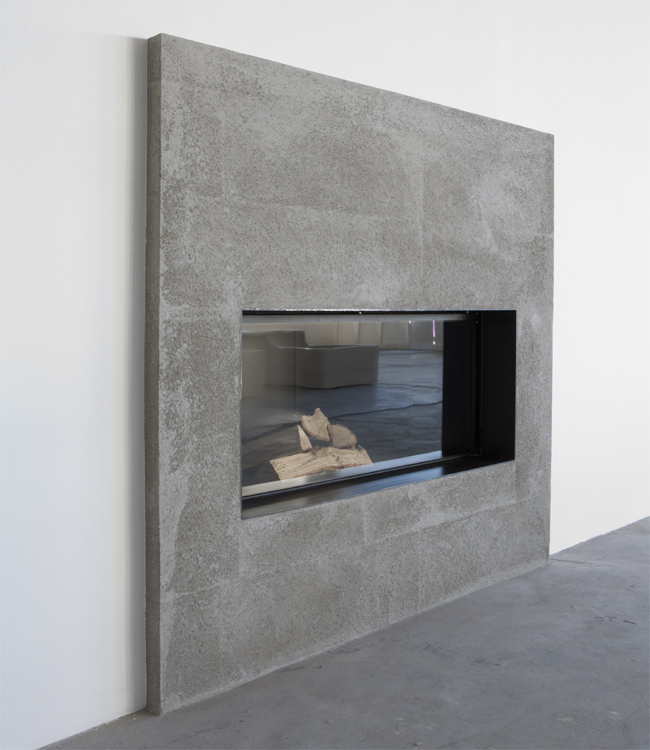 A minimalistic fireplace, with no frames or additional components, the only protagonist is the fire. 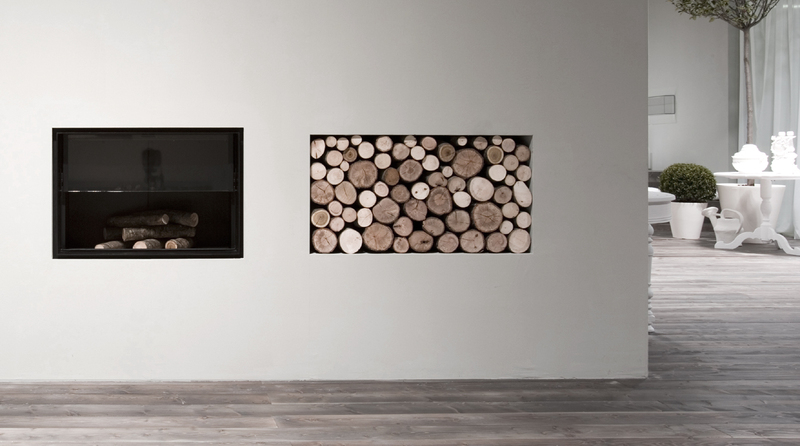 The built-in fireplace Filoskema features contents dedicated to the respect for the environment. 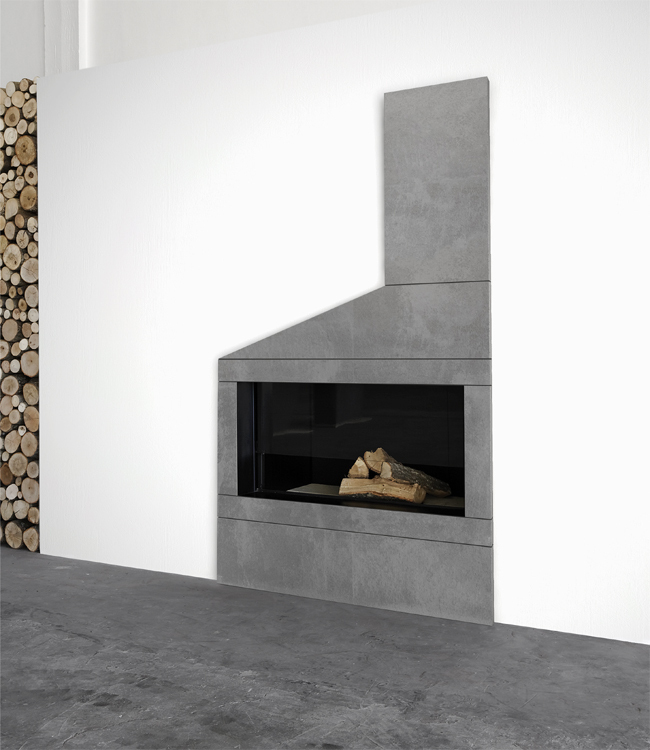 The fireplace can be installed with the “Convection” system, with heat pumps for carrying the heat to other rooms. 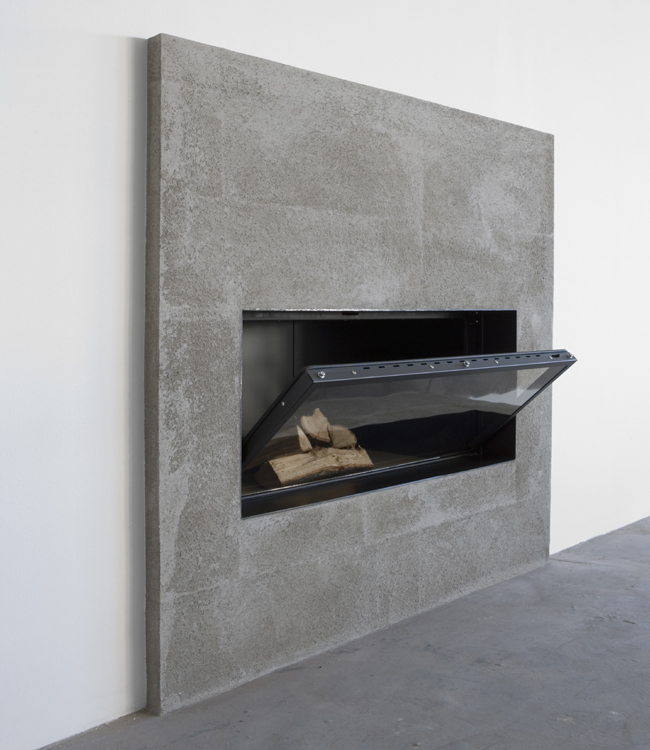 The combustion chamber, made entirely of steel, is equipped with a ceramic glass door which can be removed for cleaning. 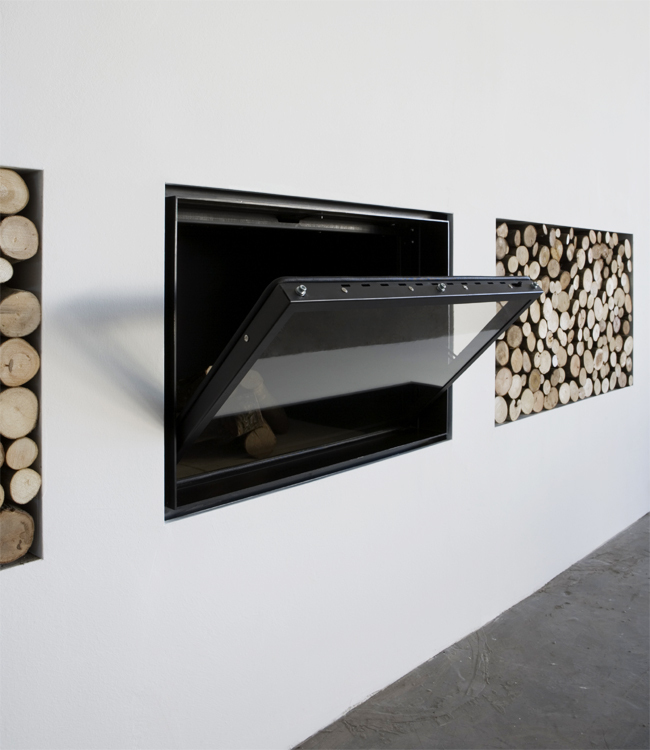 The glass, in addition to serving as a spark guard, enables a lower consumption of wood/pellet whilst ensuring the flame stays alive. 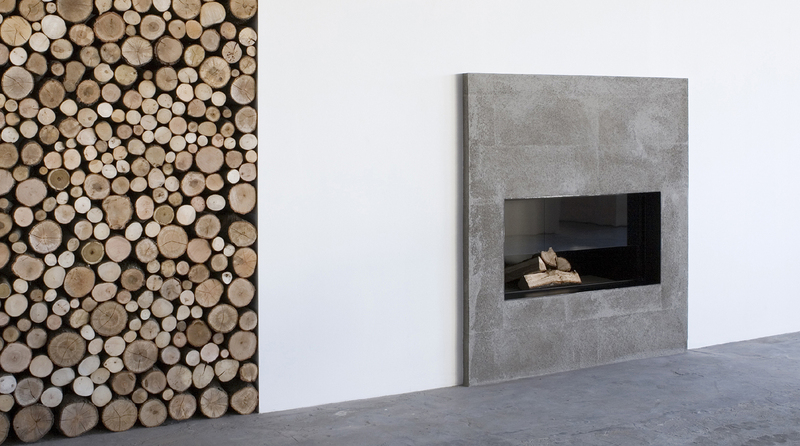 Made entirely of steel.